I was just a child when I first watched Disney’s Pete’s Dragon on VHS. The loveable cartoon dragon has certainly charmed many a child over the years. That’s why I’m so excited to see how Disney has re-imagined this film with the all-new Disney Pete’s Dragon live action movie. In theaters this August 12th, Disney has just released the newest batch of Free Pete’s Dragon Coloring Sheets + Kids Activities. 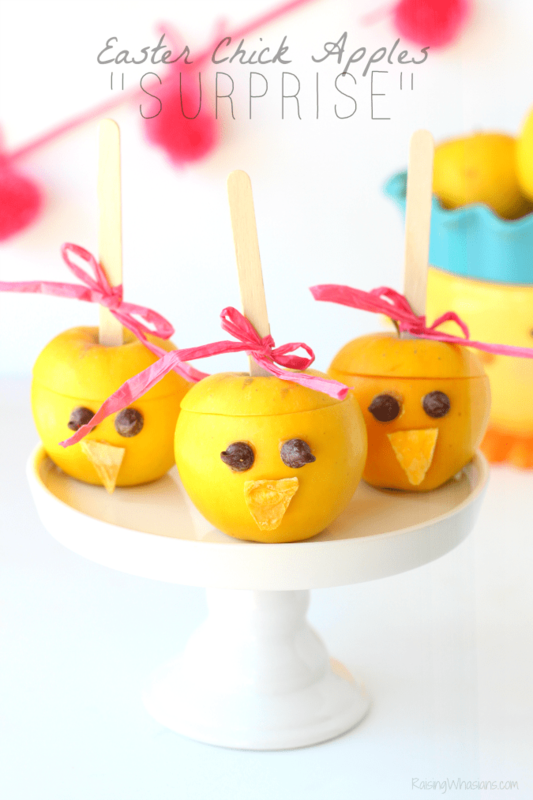 You know how much we LOVE Disney’s free printables! Grab the latest 12 pages of FUN for your kids as we get our families ready for the newest Disney live-action film. Disney’s done it again with 25 pages of FREE printables! This stack of FREE Pete’s Dragon Coloring Sheets + Kids Activities range from outdoor exploration, discovering cloud shapes and more creative ways to get kids learning. 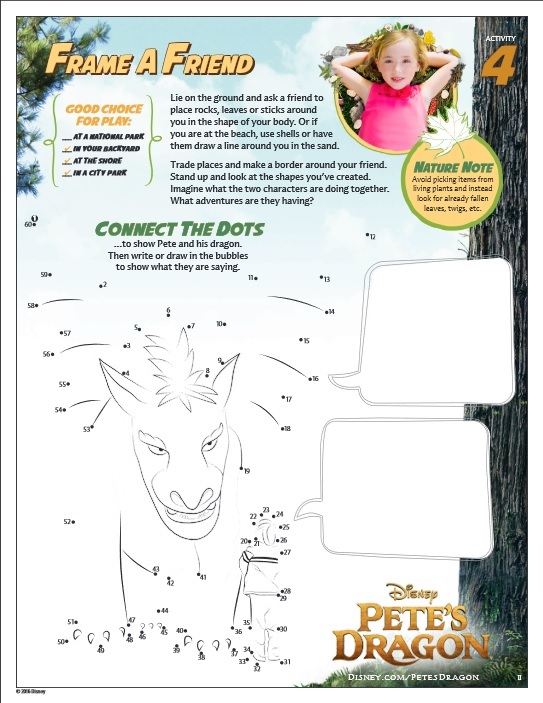 My son is a HUGE fan of Connecting the Dots lately, so these Pete’s Dragon printables will definitely be for him! Just click the link above to download and print your free Disney printables. Promise, no spam here. Check out the latest Pete’s Dragon clip, “I’m Out in Those Woods Every Day.”. How adorable is Oakes Fegley as Pete? I’m so excited to see him, Robert Redford and Bryce Dallas Howard in action. Pete’s Dragon flies into theaters on August 12, 2016! Are you ready for Disney’s Pete’s Dragon movie? Get your kids ready to make friends with a dragon with these FREE Pete’s Dragon Coloring Sheets + Kids Activities! 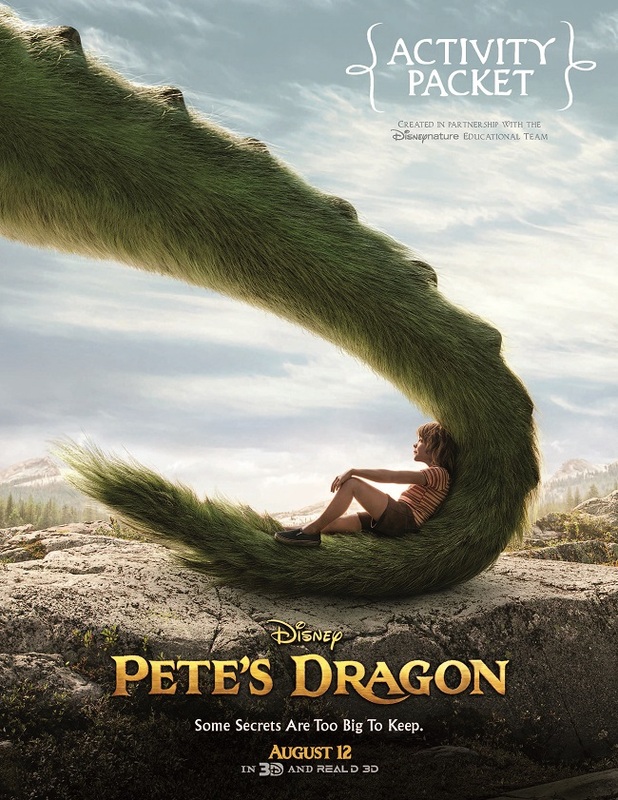 Will your family be seeing Disney Pete’s Dragon in theaters? Be sure to follow Raising Whasians via Facebook, Twitter, Google, Instagram, Pinterest and YouTube for more of your favorite Disney movie updates! Thanks for sharing the coloring pages! My kids love to color. Pete’s Dragon does look interesting still not sure if we’re going to see it in theaters.